 Discover the range of efficient generators available online at Euro Car Parts. Power up your vehicle's battery and other electrical devices no matter where you are - they're ideal for keen campers too! Jump-start larger vehicles, power up your car's battery and enjoy a reliable source of energy when you head out in your camper thanks to the range of high-powered generators from Euro Car Parts. From smaller generators designed to provide enough power for electrical items like phones and laptops to heavy duty generators created to last for hours on end, you'll find the perfect generator for you in our impressive selection. Not quite sure what you need? Don't buy blindly - instead, why not chat to one of our experts? It's easy to get in touch with a member of our team: call, email or pop into any of our 200 stores to speak to one of our friendly staff! 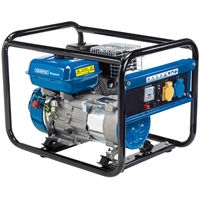 Browse petrol generators today. We stock over 130,000 car parts in store, so why not stock up on other essentials while you're here and enjoy fantastic low prices on every item. Even better, all online orders enjoy free UK delivery and click and collect is readily available at any Euro Car Parts store.